Learn how the Spokane Portland and Seattle 700 operates with a guided cab tour. 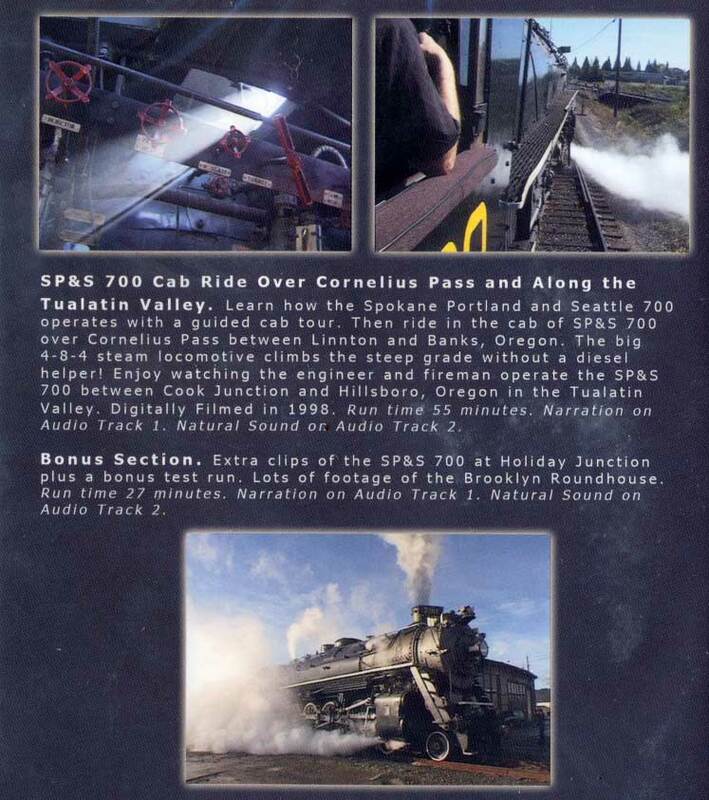 Then ride in the cab of SP&S 700 over Cornelius Pass between Linnton and Banks, Oregon. The big 4-8-4 steam locomotive climbs the steep grade without a diesel helper! 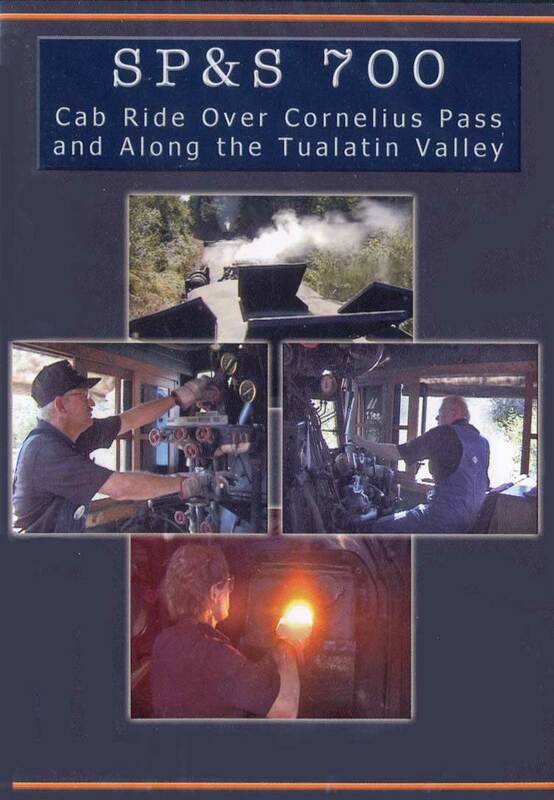 Enjoy watching the engineer and fireman operate the SP&S 700 between Cook Junction and Hillsboro, Oregon in the Tualatin Valley. Digitally Filmed in 1998. Run time 55 minutes. Narration on Audio Track 1. Natural Sound on Audio Track 2. Bonus Section. Extra clips of the SP&S 700 at Holiday Junction plus a bonus test run. Lots of footage of the Brooklyn Roundhouse. Run time 27 minutes. Narration on Audio Track 1. Natural Sound on Audio Track 2.